I love my now quite regular vacations in Wales, and as I usually do, I split this one into two as far as the fishing was concerned. 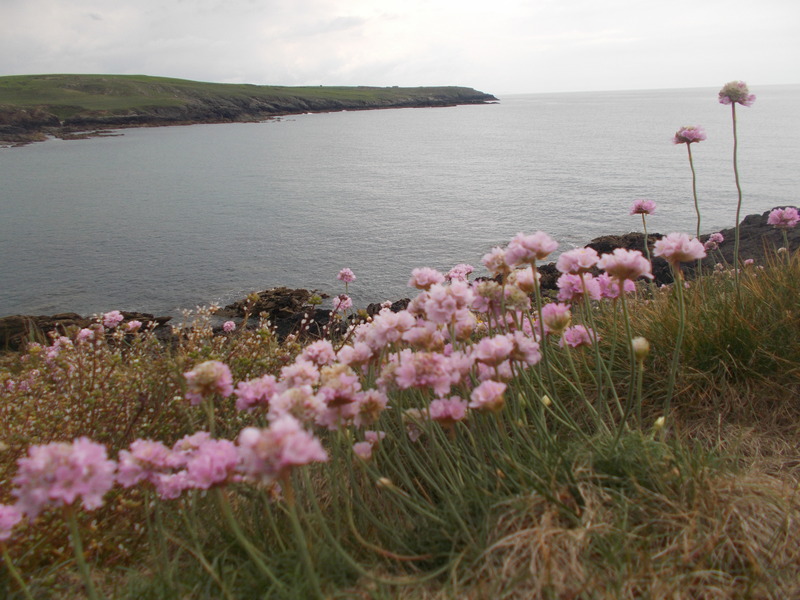 The first half I fished from the beach at Rhosneigr, and you can read how I got on in last week’s blog entry. 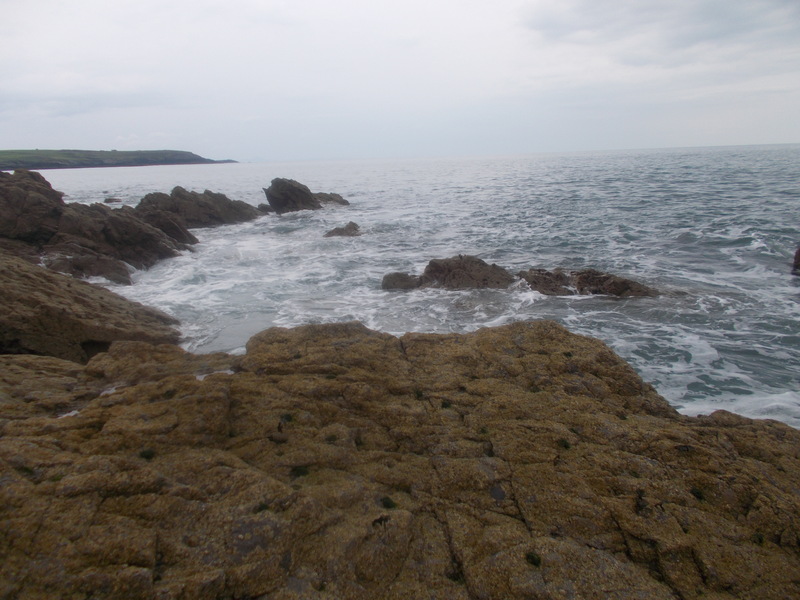 Then I switched to a different method and species as I targeted wrasse from the rocks. The headline for the blog, by the way, comes from the play on words that saw my wife and I fishing together. 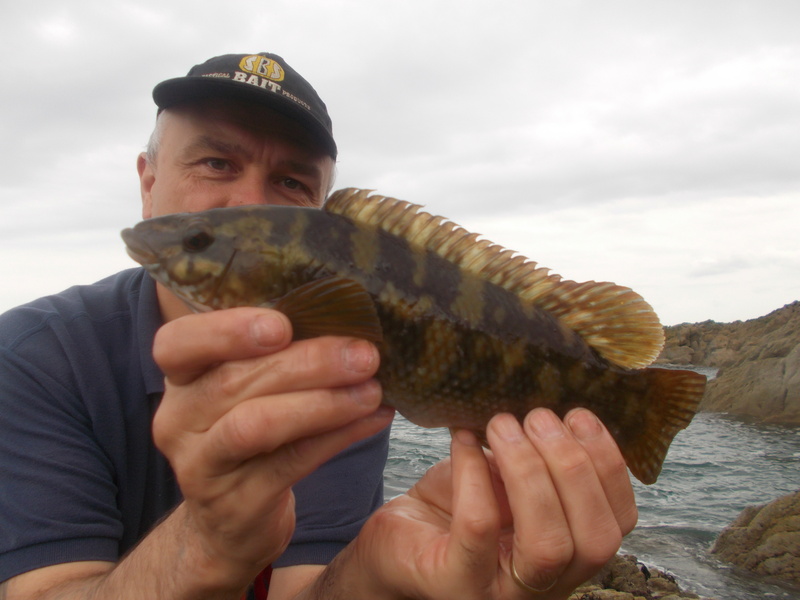 As it was, we blanked, didn’t go out again, and I caught just the one wrasse over the week. So it wasn’t exactly love on the rocks. However, as always, I enjoyed my fishing, and that’s what really counts. Fishing with a float and ragworm, I show my set-up in the video. It’s all very simple really, which of course is how angling should be. I caught a sea scorpion during the week, and I think (I’m pretty sure) that it’s the long-spined species. 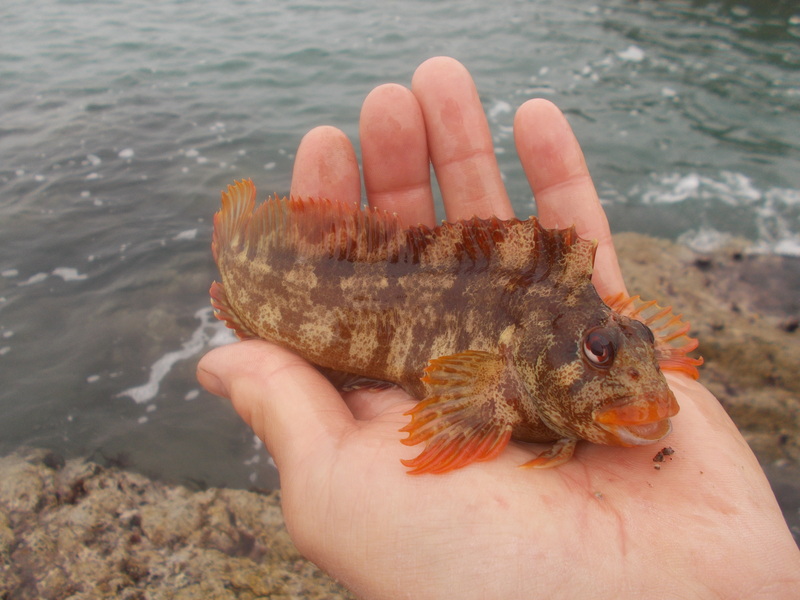 With so many different sea fish, particularly the mini ones that aren’t targeted, I’m not always sure. Even internet searches can be confusing, as some people speak with authority, when in fact they know as much as I do. I did get my target species though, but as I have already stated, just the one. I guess it’s like that sometimes and it reminded me of the ‘thin line between success and failure’ that I often write about. It’s just good to be on the right side of the line. Wrasse are great fish, very colourful and always very welcome. And talking of colourful, look at the fish above. 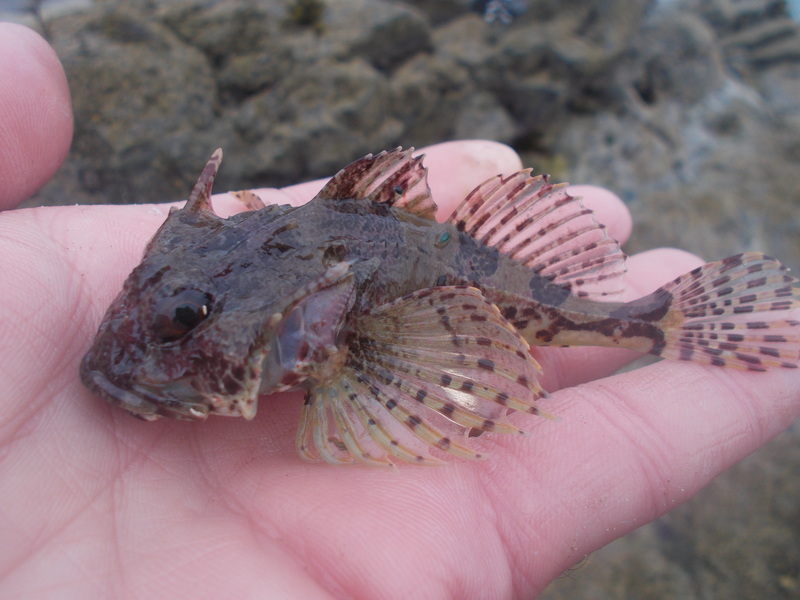 I thought it may have been a Tompot blenny, but lacking the ‘horns’ I think it’s without the prefix. But either way, it’s a great looking fish and I was more than happy to catch it. The sea scorpion and the blenny are the types of fish that my wife usually catches, as she fishes quite close in with a handline.